I am 60 and recently started training seriously for triathalons. With regard to my swim training, I have trouble with freestyle breathing on the left side and started breathing every 4th stroke just on the right side. I ran out of breath quickly and my endurance suffered. I then started to alternate breathing every second stroke with every fourth stroke which seems to greatly increase my endurance, still only on the right side. Is this a reasonable alternative for some swimmers or should I concentrate on breathing on both sides, perhaps every third stroke? As you are training for triathlons, steady pace breathing over a long distance is what you need most. Breathing every third stroke is usually the ideal pattern to start with and then swimmers usually switch to breathing every stroke over a long distance. You seem to have found yourself a breathing pattern that works for you, which is great. Everyone is different and for that reason I always say that there is no right or wrong. A lot will depend on the distance you need to cover in total and if your chosen breathing pattern lasts as long as you need it to. If you breathe only on one side, the muscles in your head, neck and shoulders that have the job of turning your head when you need to breathe, are only working on one side. The result of this will be a muscular imbalance developing slowly over time in those muscles because the equivalent muscles on the other side are not being used in the same way. it could have a subtle effect on your posture. Muscle imbalances are very common in all of us and in all areas of our body, usually caused by our lifestyle. Any muscle imbalances in the body can easily be rectified with plenty of stretching (which you should do at the end of you swim anyway) and sports massages. You could of course prevent it happening in the first place by breathing on both sides as evenly as you can. Even using your breathing pattern of every 2 strokes and then every 4, but do it one side for a few lengths and then switch to the other side for a few lengths. Most long distance swimmers find breathing every stroke the most efficient for front crawl so maybe try this pattern too and see how it feels compared to your one. If breathing on your left side is difficult it is simply because you are not used to it and those muscles are not trained to perform that action. Keep practicing and soon you will forget which side you used to prefer breathing on! I hope you find this information helpful and I wish you every success with your swimming and your triathlons. 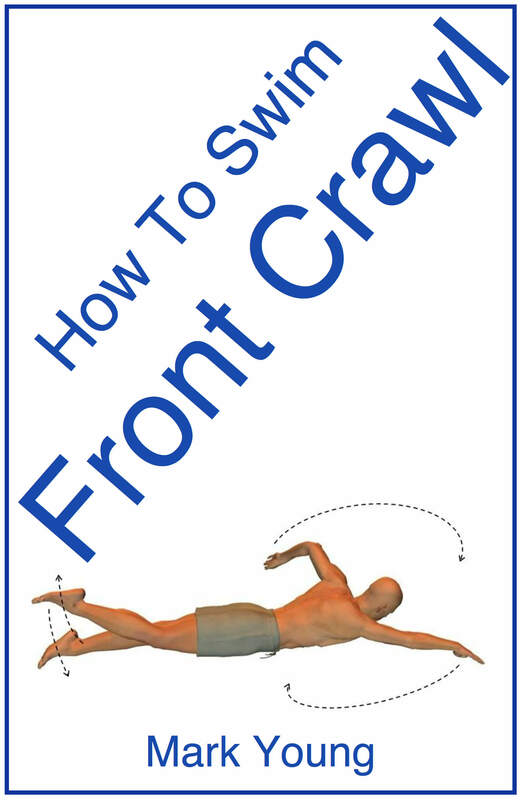 My ebook How To Swim Front Crawl contains over 20 separate swimming exercises to help all parts of front crawl, including breathing. You can download it, print out the parts you need and take them to your pool to try out. Click the link below for more information.